Marketing experts have studied how branding is the key to a company’s success and ultimately defines their overall public image. The importance of a company’s brand has been shown to have a direct correlation to the overall business generated. Look at companies such as Apple, one of the leading branding companies in the world. Descriptors of the brand include ‘innovative’, ‘imaginative’, and ‘design’. But how do these brands develop into something larger than the actual product or service they are offering? It all starts with the one individual behind the brand. Steve Jobs was the original powerhouse behind the Apple brand. He understood that personal branding is the unique essence that truly sets apart your company form others. By being authentic to his true self, he transformed his company into an extension of his personality. He produced value in his work and brought revolutionary products to the world which some would argue, have changed the daily life. While Steve Job’s might be one of the best role models in terms of shaping and growing a company to its utmost potential, it’s difficult to imagine the beginning stages that come prior to a company takeoff. Does this seem like a stressful, process? Have no fear because marketing professionals are trained to help companies grow through this process and get them to develop brand recognition regionally, nationally and even internationally. On June 8th, 2018 Pearl Marketing Design will be holding a course at the Falls Event Center, in Manchester NH teaching you all about the ins and out of personal branding. This course will be the beginning of launching your company to maximize revenue opportunities. The course will feature “how to film quality videos on your smartphone” and motivational speakers as guest presenters. You will gain valuable knowledge on making local connections, defining your own personal message, and will be able to hear from motivational guest speakers who have built their own brands and learn ways to promote themselves for lead generating opportunities. Everyone is welcomed to join this event, we recommend business owners, individuals who are sourcing leads (real estate agents, lawyers, etc) and any self employed individuals. If you’re out there wondering how to take your brand to the next level, this course is for you! The Pearl Marketing Academy program was designed by Founder and President, Amanda Schneck. With 15+ years of teaching college courses in leadership and marketing, Amanda remains current on business and marketing trends and understands how to advise effectively. 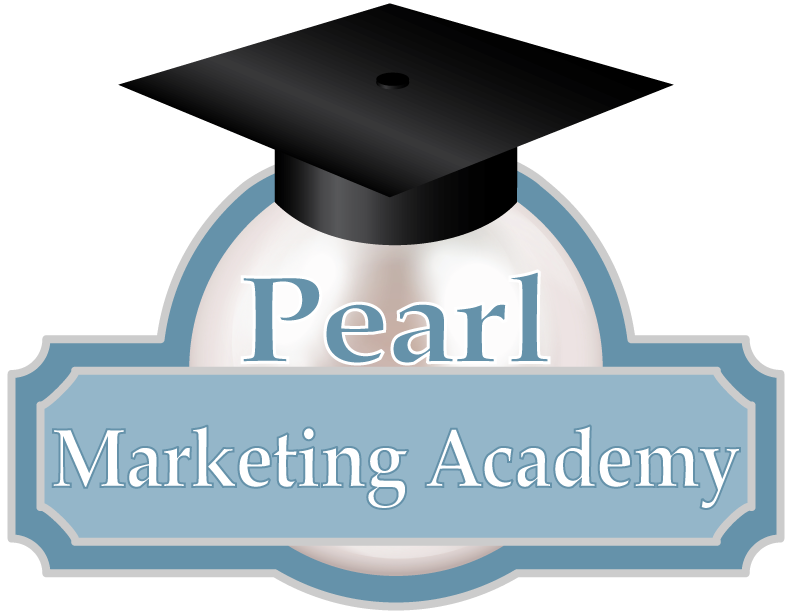 Coming soon: Pearl Marketing Academy! Our academy will provide marketing-specific training and development. The academy will provide you with the marketing data and tools to help your company be successful. Do you want to sign up for in-person course? Or do you want to take an online class at your leisure? To get more information about our workshop or learn about the programs we offer, Register Here. How does Facebook collect data? Actions and behaviors, aka your interactions (likes, comments, links, clicks, and saved content). Profile information, including content uploaded to your page. Digital footprint on mobile devices (i.e. location, contacts). IP addresses, operating systems, browser types, etc. on laptops or desktop computers. Through partners (i.e. companies that sell data) and cookies on your operating system. How does Google collect data? Keywords that you are using to search for specific content. Websites you are visiting and the videos you are watching (YouTube is owned by Google). Ads you click on and keywords you searched for to find that advertisement. Why is collecting data important? Allows businesses to make data-driven decisions instead of acting on intuition. A lot of different companies collect your personal data (especially social media sites). Often they’ll use that data to provide you with personalized suggestions to keep you engaged. Facebook for example uses your personal information to suggest content you might like to see based on what other people similar to you like. 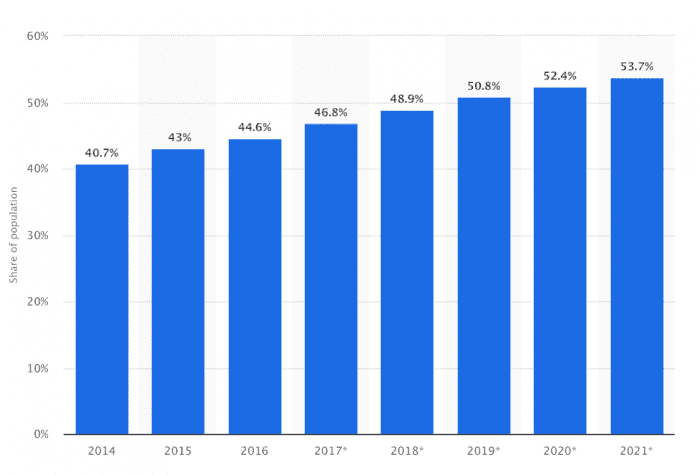 Transactional data is incredibly important for businesses because it helps them to analyze variability in consumer trends, uncover hidden patterns, and identify correlations. This information provides insight into consumer behaviors that can then be used for decision making, strategies, and competitive advantages. Web data is important because it’s one of the major ways businesses can access information that isn’t generated by themselves. When creating business models and making important business decisions, companies need information on what is happening internally and externally within their organization and what is happening in the wider market. Sensor data is produced by objects and is often referred to as the Internet of Things (IoT). It covers everything from your smartwatch measuring your heart rate to a building with external sensors that measure the weather. The power of this data is its real time reporting and geolocating capabilities. Personal data is aggregated (to privatize it somewhat) and thensold to other companies, mostly for advertising purposes. That’s one of the ways you get targeted ads and content from companies you’ve never even heard of. What are these data “tools” we are talking about? Pretty much every website and social media site you visit collects transactional data of some kind, either through Google Analytics, another 3rd party system or their own internal data capture system. Our company subscribes to several tools that retrieve this data. Cookies are placed on your computer and track your search history. Surveys, focus groups, and interviews are tools and ways to collect data as well. How can I use these tools to my advantage? Data can be used to monitor competitors, understand consumer behaviors, track potential customers, keep track of channel partners, generate leads, build apps, and much more. Considering the immense amount of activity occurring online each day, there is no better way to make informed decisions for your business. It is no coincidence that today’s most successful businesses utilize online data to expand their influence and grow their enterprises. How can Pearl Marketing help? The Importance of Educating, Training and Mentoring your Marketing Personnel. What makes your company stand out from your competition? Is it your unique product? Maybe it’s the personalized way you tailor your services to your clients’ needs. Which ever the case may be, ultimately your competitive advantage will only stand out against your competition if you work on your brand recognition. A higher return of investment is made possible if your marketing personnel is trained thoroughly in order to effectively market your company to the needs of your consumers. At Pearl Marketing, we want to teach you the latest in marketing tools for you to adapt into your practice. Our marketing techniques have proven to inspire creative ideas and strategies that will enhance your brand. We offer the following services to get your company up and running. Consulting: Companies hire us for objective advice and marketing strategies related to launching a new product, service, or business idea. In House Training: We provide team-training sessions designed to develop the marketing know-how of your employees and to inspire creative ideas and strategies to enhance your brand. Training’s/Seminars: We conduct group training programs and seminars on various topics in marketing. One-On-One Coaching: We provide one-on-one coaching to marketing DIY-ers. By using Pearl Marketing as your company’s mentors, it will enable your company to build a first-class marketing team. If this is done strategically, mentoring can provide an abundance of benefits to the employees and the organization overall. Strength Skill Sets: Mentoring allows employees to address their weaknesses in their workplace. A training program allows marketing personnel to strengthen these weaknesses in a supportive environment which can help to reduce the weak links. Employees will see the improved performance through consistent training which will lead them to an overall satisfaction in their developing knowledge and translate into better work performance. Create Transparency: Creating a clear organizational flow of marketing tactics is crucial for the success of your team. It is important to get a clear sense of roles in any organization in order to reduce office politics and keep everyone assigned to their task needed for the success of the marketing campaign. Enhance Collaboration: Any marketer knows that the key to success is to collaborate effectively. Mentors understand the necessary tools to teach teamwork in an organic way which empowers employees to bounce ideas and tasks off of one another. Increase Engagement: According to a recent study, 70% of respondents report that they are disengaged in their work organization. Effective mentoring is the key to unlocking the interests and goals of many employees as they seek growth with the company. People want to feel engaged and successful in their career, but sometimes along the way there are lulls in this progress which mentoring can help in combatting. Rise in Ranks: Providing effective training can ultimately help your organization rise in ranks against competitors. Employees have a vested interest in investing in their company, and hope to gain personal career benefits from their time spent there. To get started with your training, contact us.